To be honest, we’ve actually seen the upcoming BMW X5 M and M8 Coupe in the flesh, without camouflage, during a closed-room event at BMW’s recent Test Fest in Palm Springs. While we can’t talk about what they look like, we can say that we did in fact see them and we think you’re going to like them both. A lot. I mention this because both cars (though a convertible for the M8) were just caught, while wearing heavy camouflage, having some fun on a highway. In this new spy video, we see some car enthusiasts driving along, with the passenger recording a BMW M8 Convertible driving along the highway. Behind is a BMW X5 M and it seems keen on catching up to the M8. So it dips into the throttle and bit and it’s remarkable how quickly it accelerates and catches up to the M8. For such a big, heavy SUV, the new BMW X5 M can seriously hustle. While we saw both cars in person, no power figures were given. In fact, we were told that BMW hasn’t even finalized the power figures for either car. 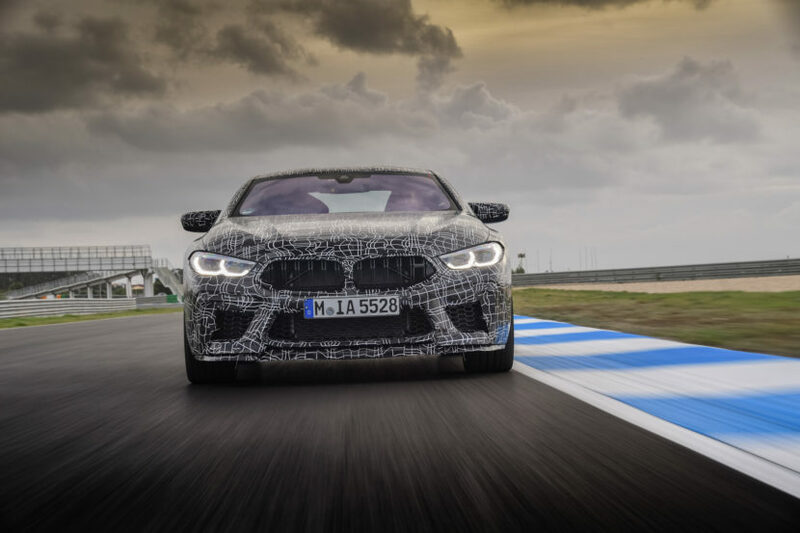 However, it’s likely that they’re both going to make around 600 hp, maybe a bit more, from the same 4.4 liter twin-turbo V8 that powers the new M5. No wonder they’re both bonkers fast. The BMW M8 Convertible doesn’t seem to want to play as much as the X5 M does in this video. But it’s likely even faster than the already brutally fast X5 M.